Step aboard the Schooner Zodiac, a classic windjammer that embodies both the heritage of the Grand Banks fishing schooners and the grandeur of a 1920’s yacht. 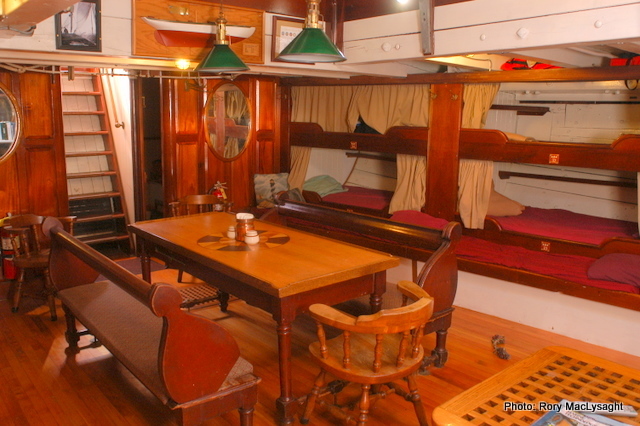 Her spacious 127 feet of deck is adorned with polished brass and gleaming bright work. The ship’s mainmast towers over twelve stories high and she proudly boasts the largest working mainsail on the west coast. The Zodiac’s rig features four sails in total (jib, staysail, foresail and mainsail) that can propel the ship through the water at just over 13 knots. 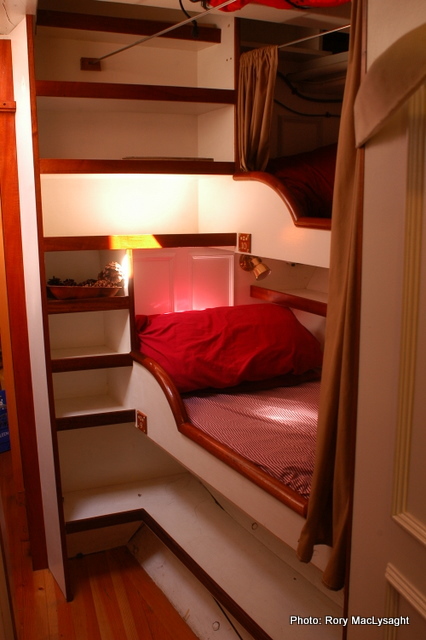 Click on the colored staterooms to the right to get a better look at the accommodations aboard the Zodiac! 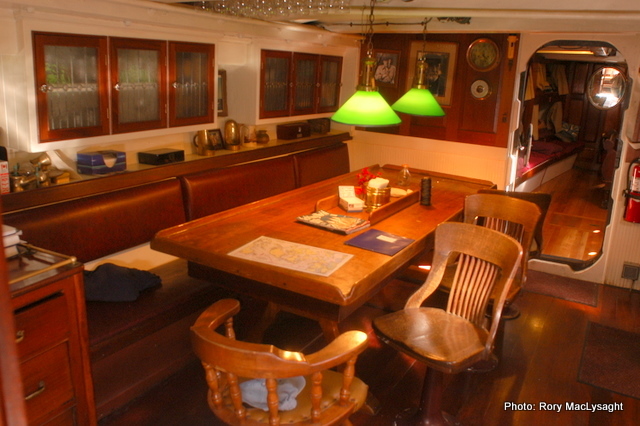 Below decks, the Zodiac’s chart house is a cozy spot where passengers can read, relax or learn the basics of navigation from the Zodiac’s knowledgeable crew members. Another level down below will find you in the heart of the ship; the galley. 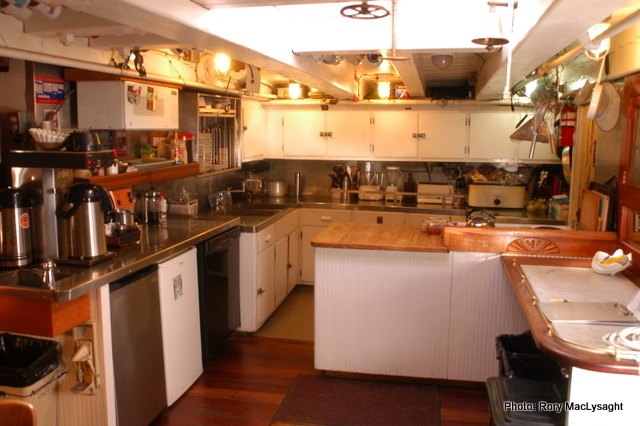 Spacious by most sailing ship’s standards and newly equipped with commercial appliances, the galley routinely serves dinner for up to 49 passengers or three square meals a day during overnight cruises. 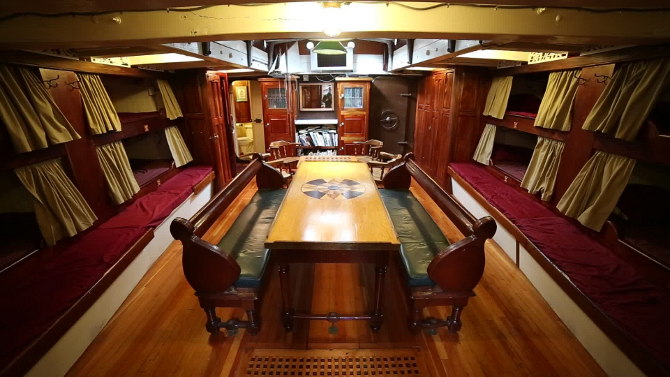 Great care has been taken to restore her to the way she looked when first commissioned; varnished mahogany, oak and teak are focal throughout her main salon and galley. The Zodiac combines 1920’s style elegance with modern comforts. 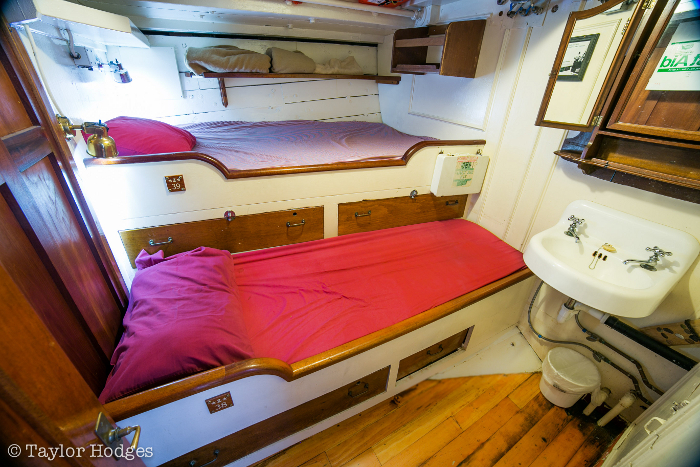 There are three restrooms aboard (nautically referred to as “heads”); two of these feature hot showers as well. The Zodiac is heated and well ventilated. While aboard, passengers stay in spacious berths or private staterooms. 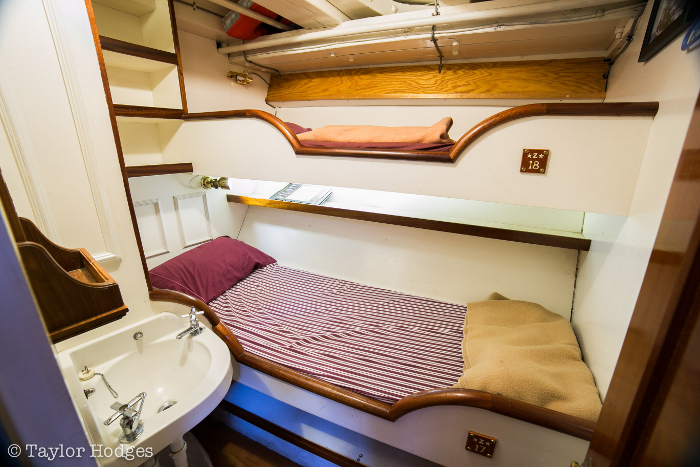 Standard berths are 48 inch bunks adjacent to the ship’s salon and feature a heavy curtain. 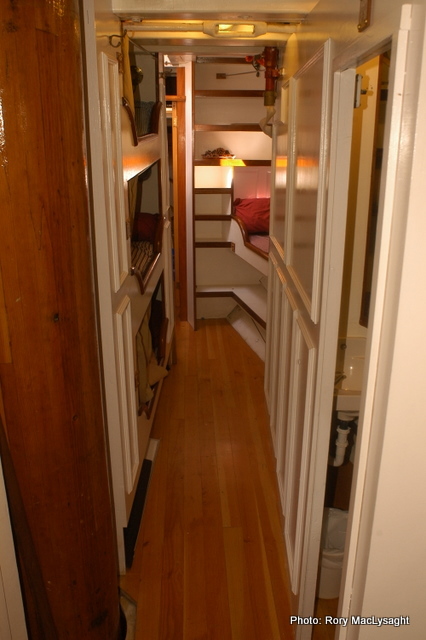 The ship’s staterooms are located both aft and forward and contain multiple bunks, a sink, a mirror and a door for privacy. 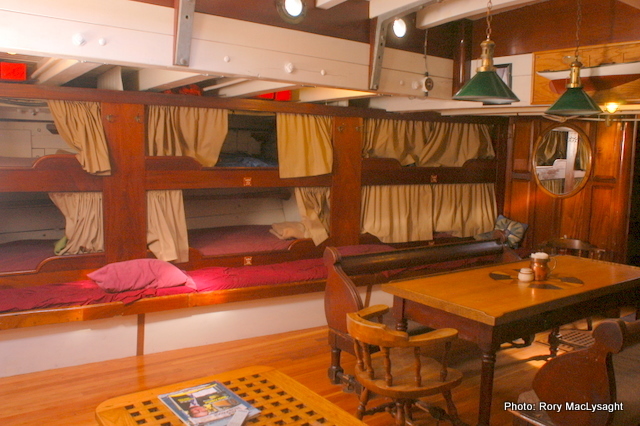 The focs’l and passageways are trimmed in classic panelling with berths and staterooms that reflect the sailing-vessel charm from the last century. Designer: William H. Hand, Jr. 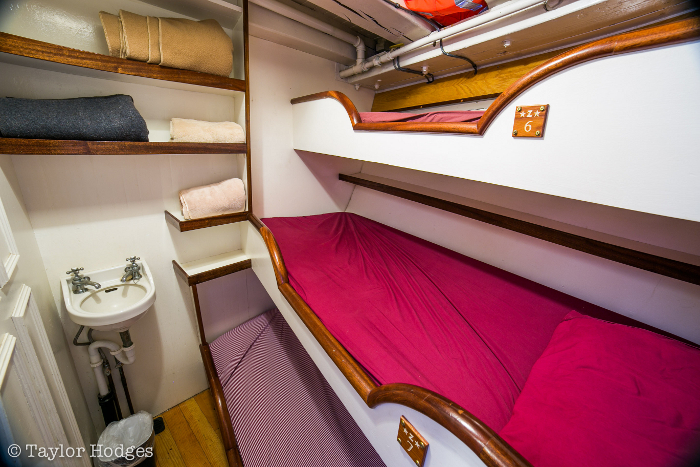 Length on Deck: 127 ft.
Bunks 6, 7 & 8 - first for'ard port stateroom. 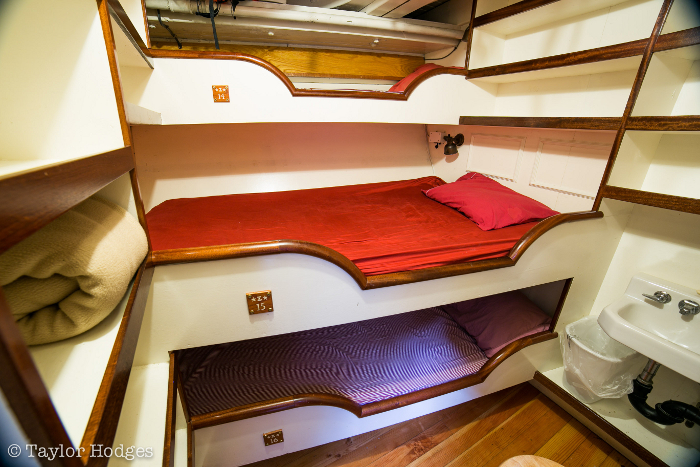 Bunks 17 & 18 - for'ard starboard stateroom. 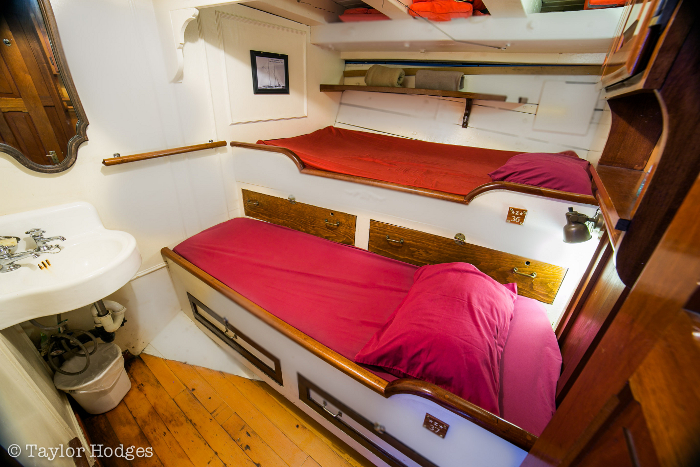 Bunks 19 & 20 - third for'ard port stateroom. 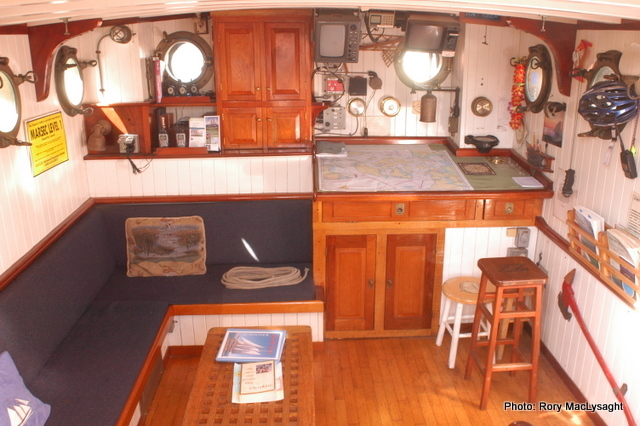 Bunks 24 & 25 - amidships starboard stateroom. 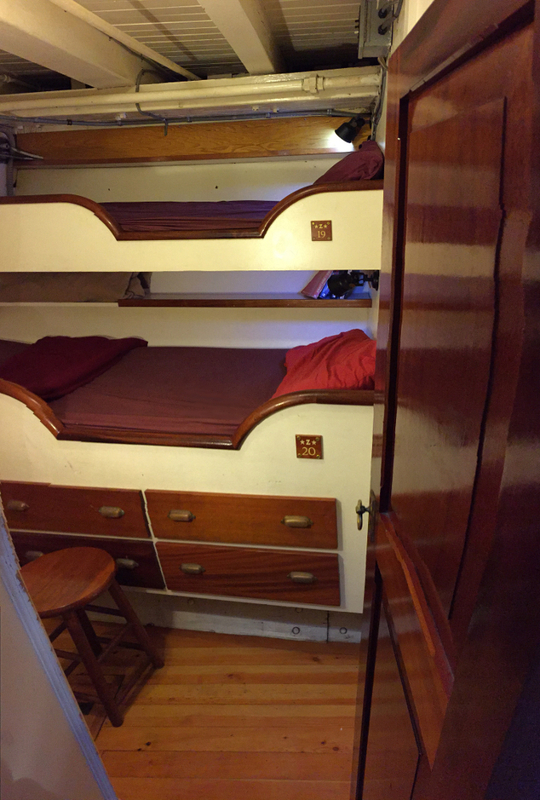 Bunks 36 & 37 - aft port stateroom. 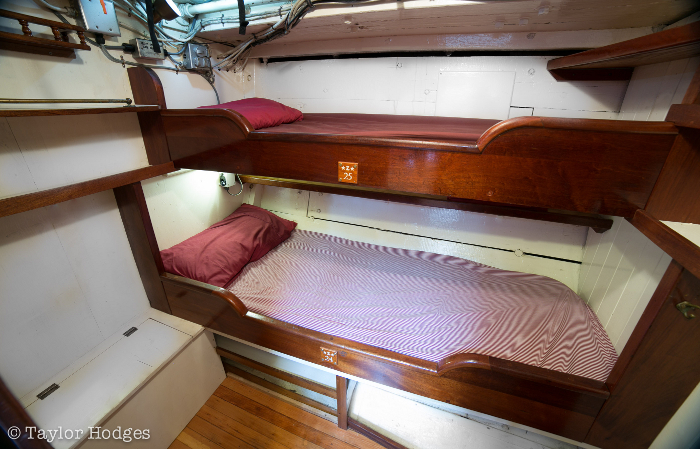 Bunks 38 & 39 - aft starboard stateroom.